IPA Gives Back is a program started several years ago by members of our association. We know Irvine is a beautiful community filled with wonderful people. 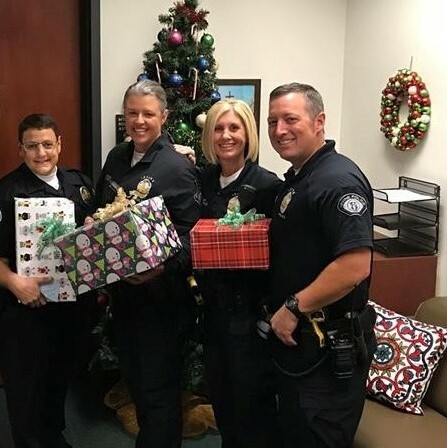 Occasionally, our officers and sergeants come in contact with someone they feel could use a helping hand beyond the quality service from the police department. 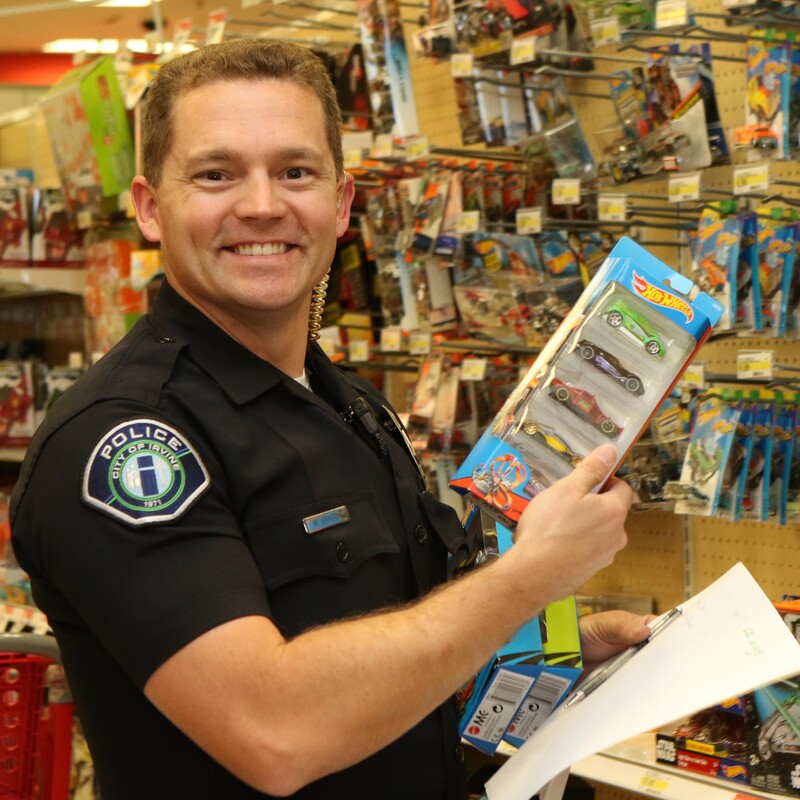 IPA Gives Back takes recommendations from our IPA members based on those community contacts and uses fundraising dollars to help those less fortunate in our community. This is one way our IPA members demonstrate their personalized commitment to our department’s dedication to community based policing. 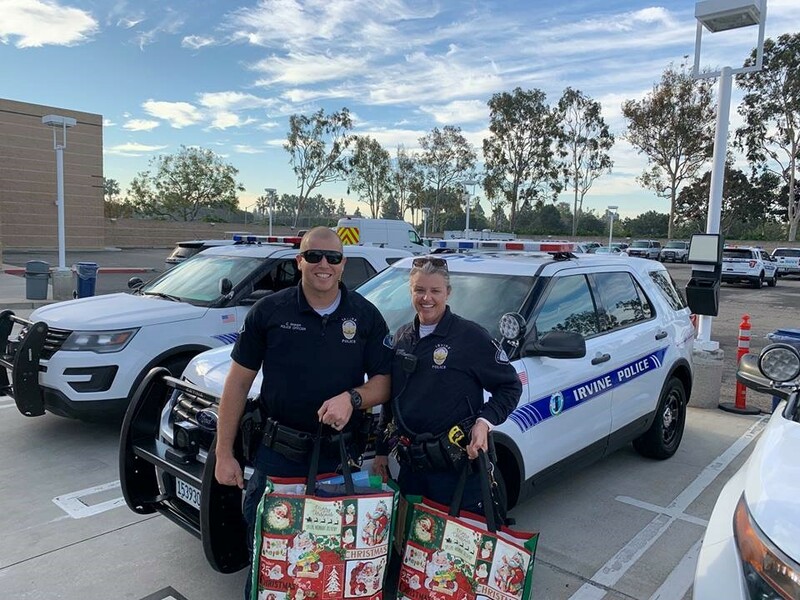 One of our own officers started an annual drive to bring compassionate bags to those going through chemotherapy after the loss of his own friend. 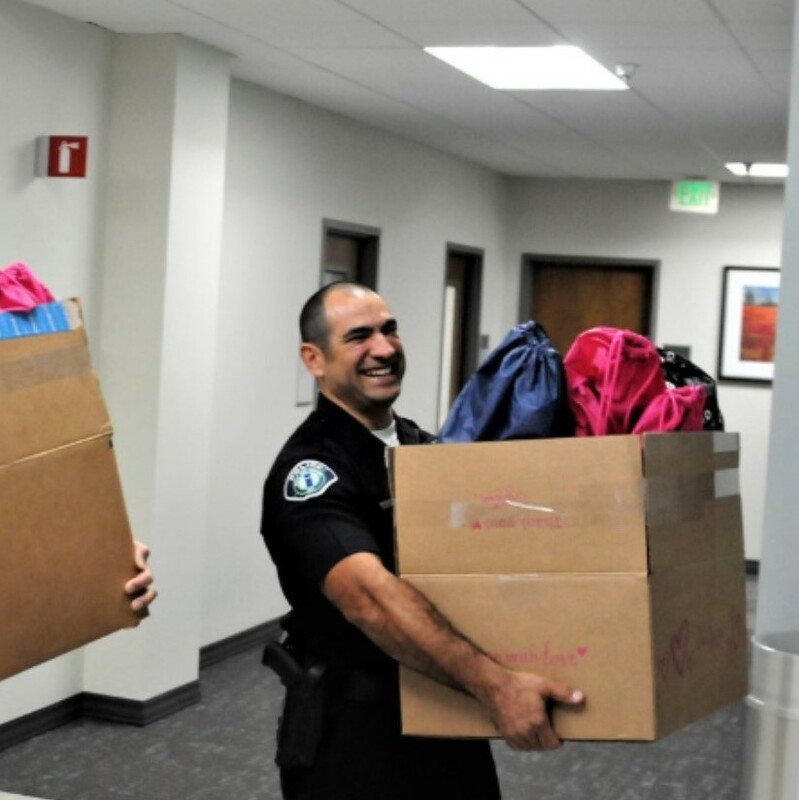 Started in 2016, each year he raises funds from the help of local law enforcement organizations to fill backpacks for those battling cancer and receiving treatment at the Compassionate Cancer Care Center in Fountain Valley. 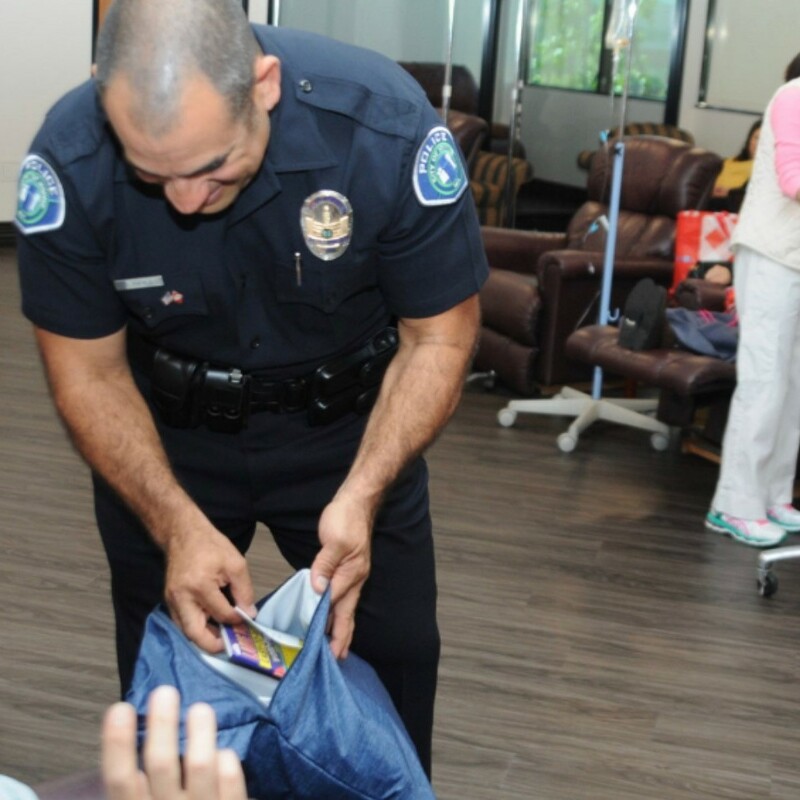 The backpacks include items meant to provide comfort such as soft blankets, lip balm, hand sanitizer, tissue, healthy snacks and a journal.